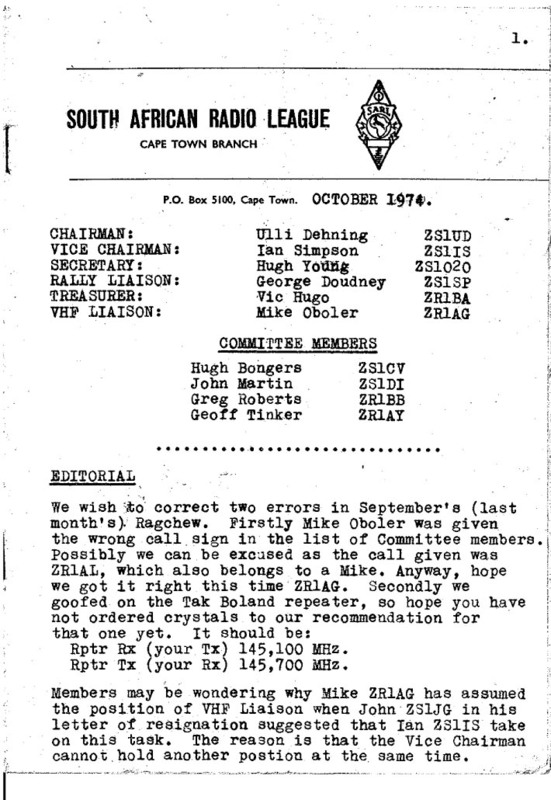 Here is something from deep in our archives: A Ragchew newsletter of October 1974. In those days there was none of this fancy DTP nonsense nor e-mail. 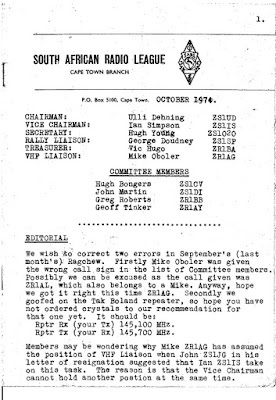 The newsletter was produced on a typewriter, pasted up and photocopied in black and white. Then distributed by snail-mail... Thanks to Paul / ZS1S for sending this on. For the PDF file, click [here].